Probably the best “family” kneeboard on the market, the SL Kneeboard does it all. The famous aquatic hook make this kneeboard the perfect board for successfully teaching kids and newbie riders the finer points of deep-water starts. The size of the SL Kneeboard means adults and kids can ride it with ease. The smooth bottom contour makes it super stable and extremely comfortable. The 3-inch padded strap makes for a secure fit. The SL Kneeboard makes surface tricks ridiculously easy, so the fun starts quickly. 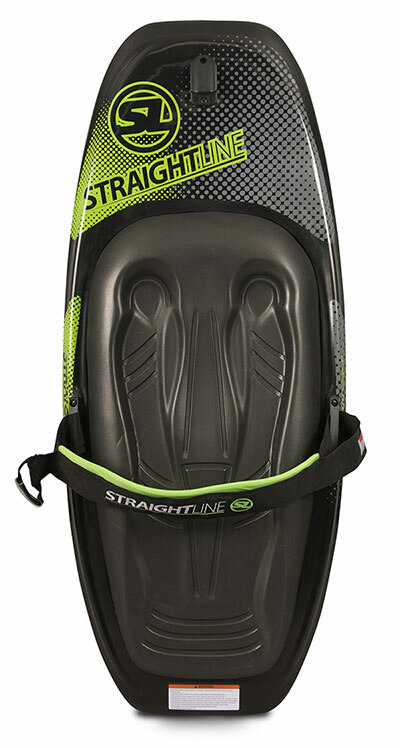 The SL Kneeboard utilizes a patented rib design for outstanding strength, while the durability derived from its PE roto-molded construction mean it can take a huge amount of punishment and live to tell the tale.